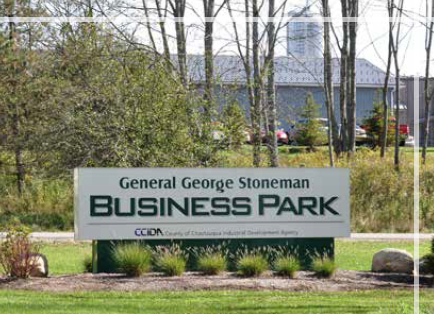 Stoneman Business Park is located just outside the city of Jamestown in southwestern New York State. Stoneman Park benefits from the proximity to Jamestown’s industrial corridor. The park is served by motor freight lines, two major east-west arteries- Route 86 and Interstate 90. Chautauqua County Airport is less than 10 miles away. The Buffalo and Erie International Airports are within easy driving distance. It is also adjacent to Cummins Engine/Jamestown Engine Plant, one of the largest industrial facilities in Chautauqua County. The Stoneman Industrial Park’s named for the Stoneman Family. Sign up to receive email updates on the community. Busti Men’s Club Annual Easter Egg Hunt – April 20, 2019 – 10:00 a.m.